If you know me, you would know that I like to have the appearance of having it together all the time. If you know me, you would know that often times I make light of my insecurities by making a joke out of it. If you know me, you know that I am not one to talk about personal issues. Because of that, even if you know me, there’s a good chance that you don’t know that I struggle with mental health issues. Back in May, I was formally diagnosed with OCD. When most people hear OCD, they think of a need to clean. What many people don’t know is that this is actually a pretty debilitating disease. My mind races over things that I fear; the underlying cause of my fears are things happening that I have no control over. In times of stress, these feelings are amplified and I cannot get my brain to shut off. I think about things that I know are not real, and even though I am telling myself that it is not real, I cannot stop my body from having an emotional reaction to it. Even before I got diagnosed with this, these symptoms were something that I was aware of. I kept it to myself because I felt crazy for worrying about things that were outside of my control. More than that, I felt that as an athlete, admitting that I was struggling or had a problem was a sign of weakness; I couldn’t have been more wrong about that. The reason that I got formally diagnosed was because I was dealing with stresses that became too much for me to handle on my own, so I went to a therapist. These stresses centered around basketball and the pressures that I felt from both myself and outside forces. I remember going into practices and workouts hoping that I would get a career ending injury so that the pressures would just end, and I would be forced away from the sport. I couldn’t be seen as a quitter, so walking away on my own wasn’t an option. I felt like my only way out was a career ending injury, and that’s what I wanted. Constantly desiring this was the point at which I realized that I could not deal with this on my own anymore, and it was time for me to get help. I have been taking medication for my OCD since May, but that doesn’t mean that my struggles ended there. In more recent history, I struggled with depression. This was more frustrating for me because I could not figure out an underlying reason for this. Things in my life were great. I had just graduated, I had a great set of friends, and I was part of a pretty great basketball team. So why was I so unhappy? Why did I feel a physical hole in the pit of my stomach? Why did I spend the better part of a month crying every day for absolutely no reason? Asking these questions only added to my frustrations, and it made it worse. I was in a vicious cycle where I was waging a war in my mind that I could never be on the winning side of. What got me out of this was the fact that I decided to tell someone about my struggles. I had two incredible teammates who were my rocks through this time. They made me feel as though it was okay that I was not okay. They were there for me in a time where I felt alone. They helped me to see that it was okay for me to ask for help. Shortly after telling them about my struggles with depression, I went back to counseling and that helped me to realize that I have spent a long time in life not dealing with my emotional pains. When a new pain happens, I am dealing with the new pain as well as the old one. It was at that point that I finally started to process the things in life that I felt guilt and pain over. So why am I now telling my story? When I think back about my fears surrounding telling people about my struggles, it comes down to the fact that I don’t want people to look at me differently. As a leader on my team, I don’t want my teammates or coaches to lose faith in my ability to lead because I struggle with mental health issues. I have finally come to accept the fact that my OCD is what I have, but it’s not who I am. I’m telling my story now because I know that other athletes struggle with mental health issues, and sometimes they feel the need to hide it. The conversation and stigma surrounding mental health needs to change. People like Kevin Love and DeMar DeRozan make me feel as though I can share my story because they had the courage to do so. They are helping to show other athletes that mental health is not something that they are impervious to. They are helping to show that it is okay to ask for help. An individual feels the symptoms of mental health issues, but mental health is not an individual’s battle. It’s important that athletes feel as though they have something or someone that they can turn to in times of struggles, whether that be family, friends, or faith. Sometimes asking for help feels like a sign of weakness, but in reality, it is actually the greatest show of strength. Everyone has struggles at some point in their lives; it is important to realize that it is okay to not be okay. 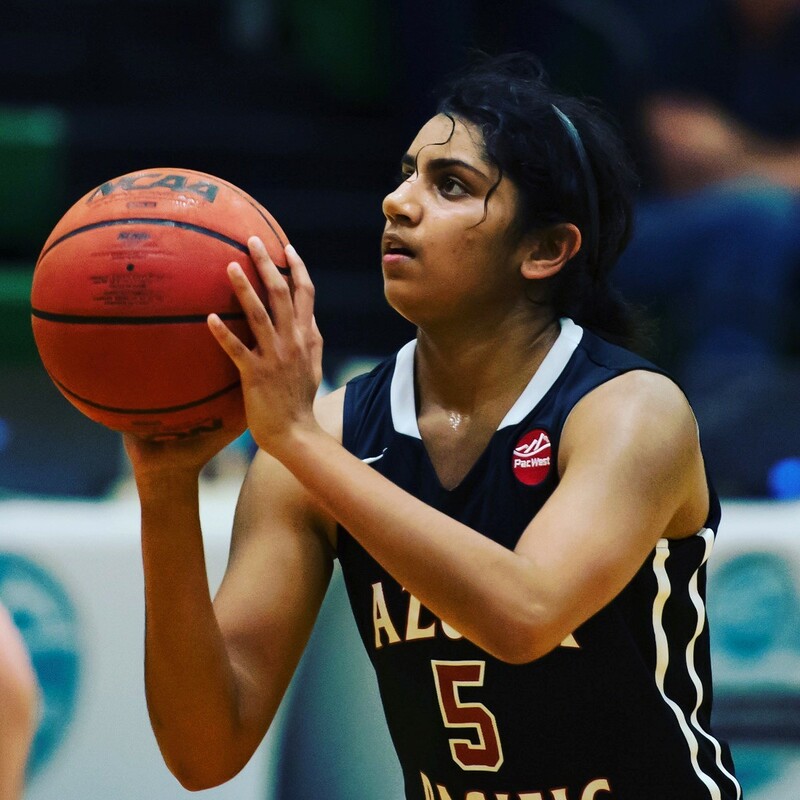 My name is Annanya Raghavan and I am currently a student-athlete at Azusa Pacific University. I am from San Jose, Calif., and have been playing basketball for about 13 years. On my journey through basketball, I have dealt with things that I am sure many athletes deal with, but are too afraid to talk about. I want to help change the conversation surrounding mental health and the stigma that is attached to it. Well put. Wishing you the best. That is one brave young lady. We need more young women who are not afraid to speak out on issues that are near and dear to them. Strength comes as they know they are not alone with their issue.